Aerosmith Guitarist Calls Connection with "Idol" a "Good Thing"
Aerosmith guitarist Brad Whitford sees some good with Tyler’s TV stint as "American Idol" judge and is looking forward to the band possibly appearing on the show. 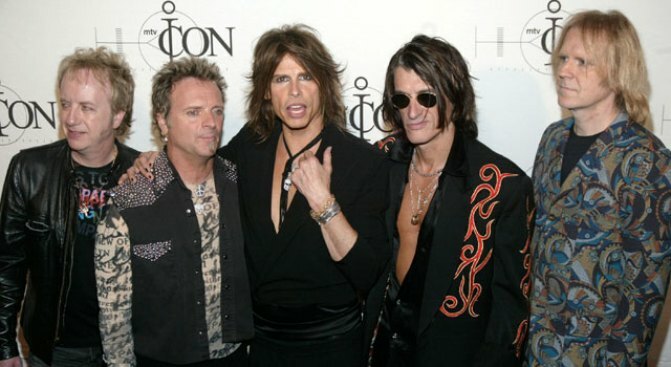 Rock group Aerosmith had been in the news in the last year with lead singer Steven Tyler’s rumored departure from the band and his new role as "American Idol" judge. But it looks like the dust has now settled as the band is now looking ahead towards the future. In fact, Aerosmith guitarist Brad Whitford told Billboard.com that he sees the connection with "Idol" "a good thing for the band" and is looking forward to the band possibly appearing on the show. "I keep waiting for that phone call," Whitford ssaid. "I haven't heard anything yet, but my guess is... certainly if I was a producer on that show, I'd want to see that happen. I think it could be cool. It would be a great way to introduce [Tyler] to the show and to the audience that watches that show." And there’s still more good news for Aerosmith fans: Whitford also revealed the band may be plotting to record a new album, their first since 2004’s "Honkin’ on Bobo," as well as touring next year. "That's what the band has been talking about. Obviously we'll have to work a little bit around Steven's television schedule, but he's ready to do it and he's pretty confident he can do this record, so hopefully we can get some of that new music out next year."